Sports and athletics have been a life long pursuit and passion. It has been the way of expressing myself, my passion for sports, and dedication to my team. It ignited my spirit to continually grow. Throughout high school, I competed in soccer and lacrosse, while also participating in a variety of other sports. Once graduating, my passion for health and fitness naturally lead to the pursuit of studying Kinesiology. While in college, I retired the competitive athlete, and traded for a gym routine involving the treadmill, elliptical, spin classes, and a light- weight-high rep lifting regimen. I become extremely frustrated and bored with fitness. It no longer had the same spark I fell in love with in my youth. I became resolved that I would never again experience the competition, adrenalin, and the drive of competitive team sports. During this season of life, I experienced an unexpected and devastating loss to my family, which flipped my entire world upside down. During this time, a friend recommended I try CrossFit. After some thought, I agreed and signed up for a CrossFit class. Though nervous, apprehensive, and completely intimidated by the thought of just showing up, I did my first CrossFit WOD. One workout, and I was hooked! After submerging myself into CrossFit, my passion and belief grew for the unique culture and training methodology. I valued the comprehensive and measurable approach CrossFit brought to fitness. It was not a program focusing just on strength or endurance, but all ten general physical principals- endurance, stamina, strength, flexibility, power, speed, agility, balance, and accuracy. I grew in all areas of fitness, reaching new limits in my abilities. Without a doubt I wanted to give back to others what CrossFit gave to me. I signed up for my Certification and through a 3 months mentorship program from my owner, became a CrossFit Coach at my local affiliate. CrossFit has given more to me than I could have ever imagined. First, it has given me an opportunity to once again grow as an athlete, no matter my age or stage of life. Each workout is different, always challenging, and pushes me to my limits. Second, it introduced me to my husband, love of my life, best friend, and business partner. Lastly, it has created an avenue to turn a passion of coaching and equipping others to improve their overall health and fitness into a career that I love. 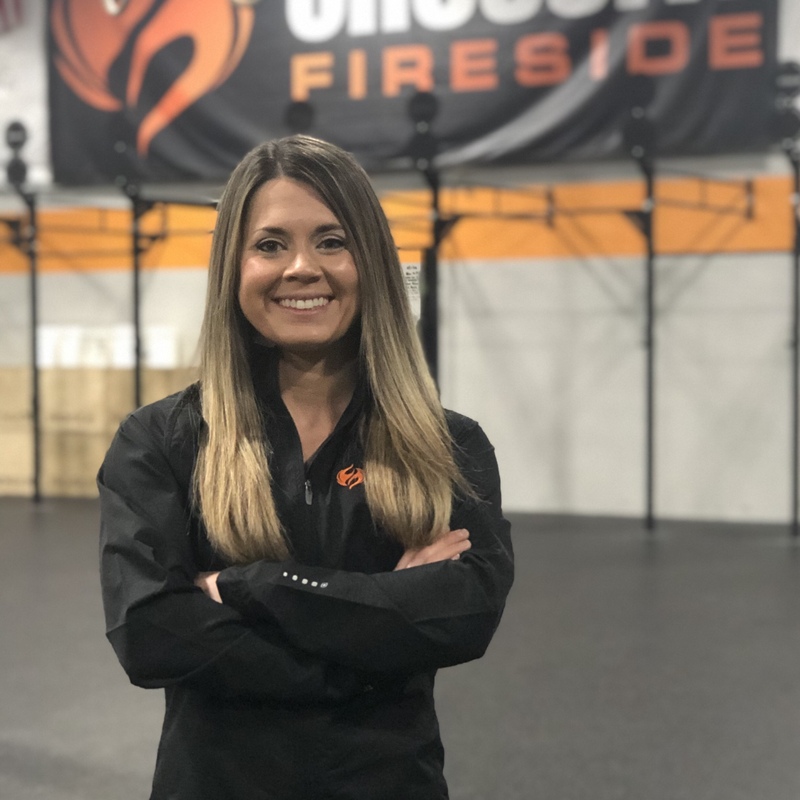 My desire is to give back to others through CrossFit Fireside, as much as I have received through the CrossFit Community.